1 tour found in Turkey Points Of Interest. Private Edirne Tour from Istanbul, is a great tour for the ruins and monuments of Ottoman left to Turkey, i highly recommend to everyone to go edirne and visit this beautiful city for a day. Private Edirne Tour from Istanbul, tour was nice the way was long. 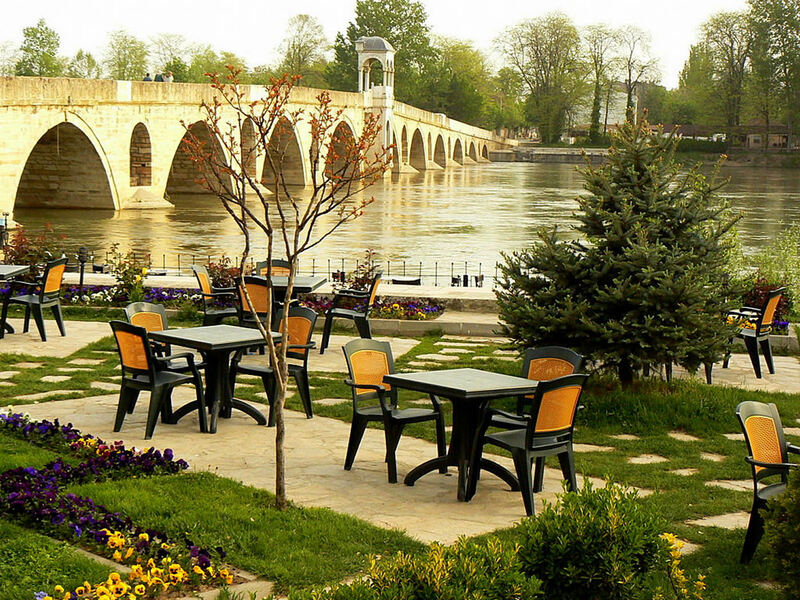 Edirne is a great city to visit for the capital of Ottoman Empire. Our edirne tour was great with the knowledgeable and frinedly tour guide and also safer driver. We wanted to visit the city of Edirne for its history and beeing capital city of Ottoman during the Ottoman Empire and we booked the private edirne tour and went to visit. It is a silent city with beautiful locals and has great historical sites to visit. The city is not big but has great history. I will recommend this city to visit. Our private edirne tour was great. Edirne was the second capital city of Ottoman but it was not like istanbul, I liked the city because it is silent and beautiful, but when you compare the both city, it is not like istanbul. If you want to visit the capitals of Ottoman, you should visit the Edirne as well. Highly recommend. We have had a great day in edirne. It was a nice day and excellent trip to edirne from Istanbul. To drive was safe, we were with the great knowledeable and friendly tour guide. Musa was our tour guide and informed about everything we wanted to visit in Edirne. I highly recommend to visit the capital city of Ottoman. We are interested in doing private ederine tour from Istanbul and we want explore everything in Edirne. Can you inform us about the details. Great day it was for us to be in Edirne and visit the second capital city of Ottoman with its arch and history. Private Edirne Tour from Istanbul? We are interested in visiting Edirne, is it possible to join group tours, we want to make it cheaper. Me and my family enjoyed the edirne city tour. Everything was well organized. Especially, i want to thank to our tour guide Raji, he was excellent and informed us about the city and historical sites. I highly recommend to visit Edirne. Best day out of Istanbul, we visited the one of the most important city near istanbul. It was great informative tour for us. Thanks to our tour guide Ismail and driver Mustafa, for the safe and knowledgeable and unforgetable tour of Edirne. It is one of the best tour that i can recommend to every one who is interested in Edirne. It was excellent to visit the other capital city of Ottoman. Thanks to our tour guide and driver, they were very interested in our day and made it excellent. We are interested in Private Edirne Tour from Istanbul, I want to know the price of the tour. Me and my family, went to edirne and done the city tour in Edirne. I was wondering about the capital cities of Ottoman Empire, Edirne is a silent and nice city to visit. It carries the sign of the Ottoman with the Selimiye Mosque and Edirne also has three historic covered bazaars: Arasta, next to Selimiye Mosque, Bedesten next to Eski Cami and Ali Pasha Bazaar. I recommend to discover edirne. Great way to discover the city of Edirne. Everyone who goes to Turkey, should visit Edirne which was the first capital city of Ottoman Empire. We enjoyed the city and ruins in the city. How long is the journey from Istanbul to edirne and how long time we will spend in Edirne. We enjoyed our day in Edirne, everything was fine, just the way was long from Istanbul to edirne. The tour was worth to do. Me and my family visited the Edirne, i was wondering about the the city of Edirne because it was the second capital city of Ottoman and I was thinking that it should be like istanbul. Edirne is not like istanbul but it is beautiful city. I recommend to visit, if you wonder.